Olla de Carne, or Homemade Vegetable Beef Soup from Costa Rica, is a hearty meal that is popular with almost everyone who lives in and visits the country. 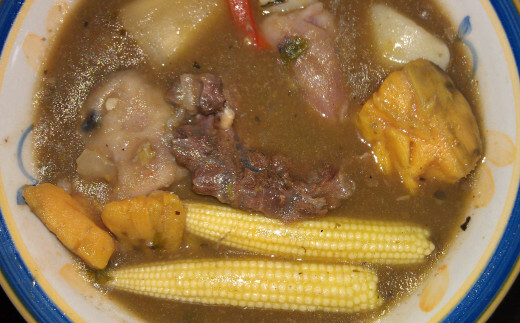 It is a stew that consists mostly of vegetables and is flavored by different cuts of beef: ribs, beef chunks and sometimes knuckle (osobuco). It is a soup that can be prepared in out 2 hours, cooking the beef first, then peeling and cutting up the vegetables. The specific recipe described below does not include a common soup ingredient, chayote, which is available in most large supermarkets in the United States. So you can make this recipe in several different ways, but there is usually one or more ingredient that imparts sweetness, either ayote (winter squash) or mature plantain (plantano maduro). Sweet potato can be substituted for the more savory Costa Rican yam, which has about a third of the sweetness of an ordinary sweet potato. Sweet corn is also added, usually cut in two or thirds. As with all soups, the cooks use whatever ingredients are on hand, but the beef is the central seasoning ingredient. Please rate this recipe if you have tried it! Yields: Serves eight people in large soup bowls. Trim excess fat from the meat and cut into large chunks. Use a meat cleaver to chop the ribs into chunks, if that is your meat of choice. Add the meat to a pressure cooker with enough water to cover the meat, plus another 2 inches. Add the salt and 2 beef bullion cubes. Cook for 15 minutes under pressure. Clean, peel and chop the vegetables. 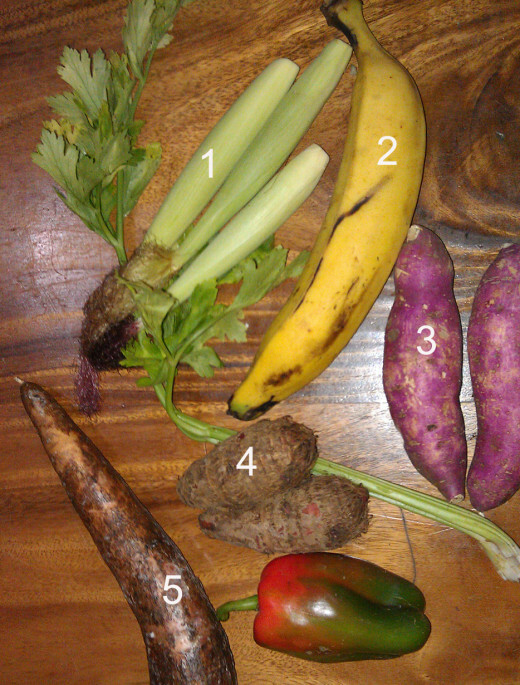 Large chunks are most common with Costa Rican Olla de Carne for the main vegetables. The onions, pepper and celery are sometimes chopped more finely. Add the vegetables (not the maduro) to the pressure cooker pot once the meat is cooked. Add water as needed to cover the vegetables. Let it cook for 15-20 minutes and taste for seasoning. Add the basil, salt and pepper to your taste, and also add the maduro chunks. Cook for another 15 minutes or until all of the vegetables are tender. As with any soup, it always tastes best the second day, but usually with this recipe, there really isn't much left the next day. Costa Ricans (costarricenses, roll your rr) also like to eat their olla de carne with savory rice. They are usually served a bowl of rice on the side, to which they add to the soup to take up space where there is broth. I have never seen anyone (except me) eating any soup with crackers in Costa Rica, although you can certainly find crackers in the supermarkets. The meat, because it is left in the soup with the bone on, is usually picked out and eaten with the hands. 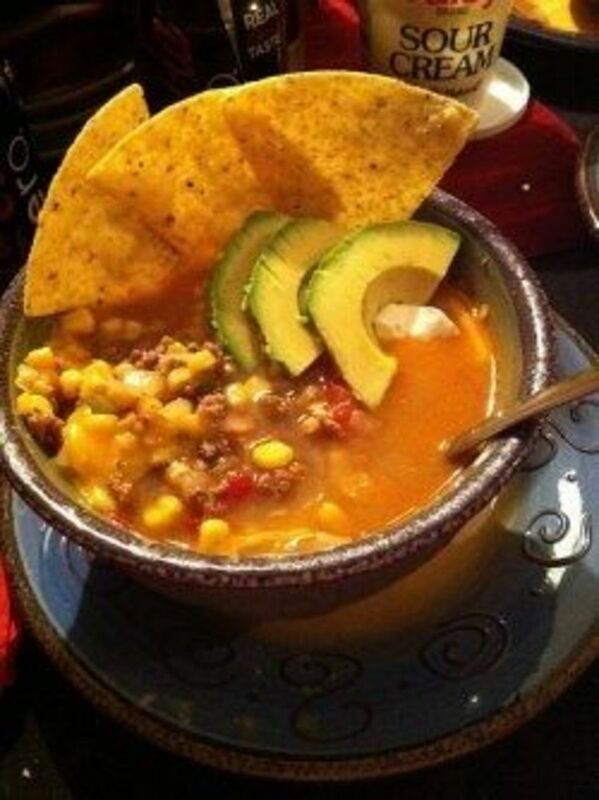 This is also done when sweet corn is added to the soup. So, if you do it Costa Rican style, have a few napkins on hand as it can get messy. And have plates available for the bones. Me, I Iike to eat just the vegetables, they are flavored so well, so I skip the bone issue. To each his own. Enjoy and please leave feedback if you try this recipe! It looks as I remembered it. Maduro was NOT one of the ingredients, when one was added it was in the form of "platano verde". : Also in my time, it was made in a great big OLLA!! !, thus the name. Randy, you are making me sooo hungry. 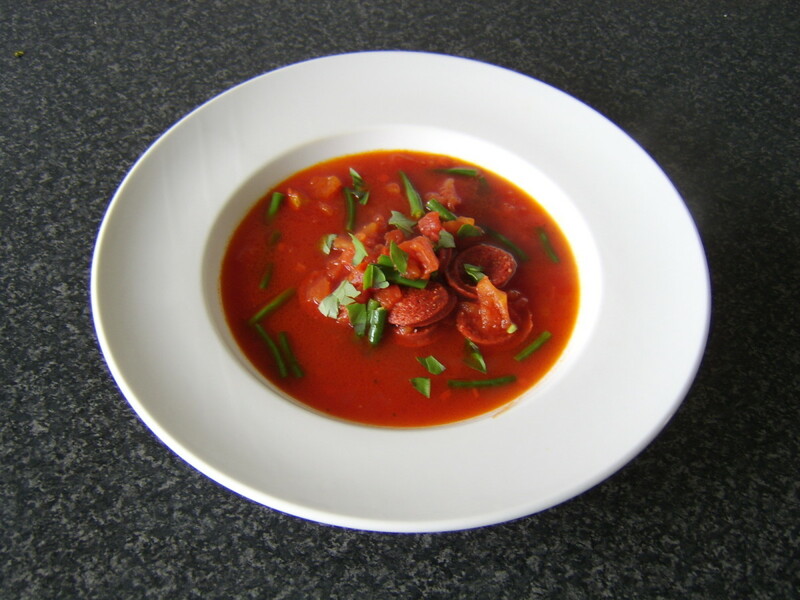 I am a huge soup lover and enjoy cooking it on a cold day. This will be a lovely addition. Hi Kashmir - Hopefully you will be able to find most of the ingredients! Rate this after you try it too! Thanks for visiting my article. love this recipe for Vegetable Beef Soup will have to try this one !